There was a huge coordinated, statewide "giving day" today here called "Idaho Gives." You can click here to check it out. We think the goal was to raise $500,000 statewide and they are pretty close to the goal. 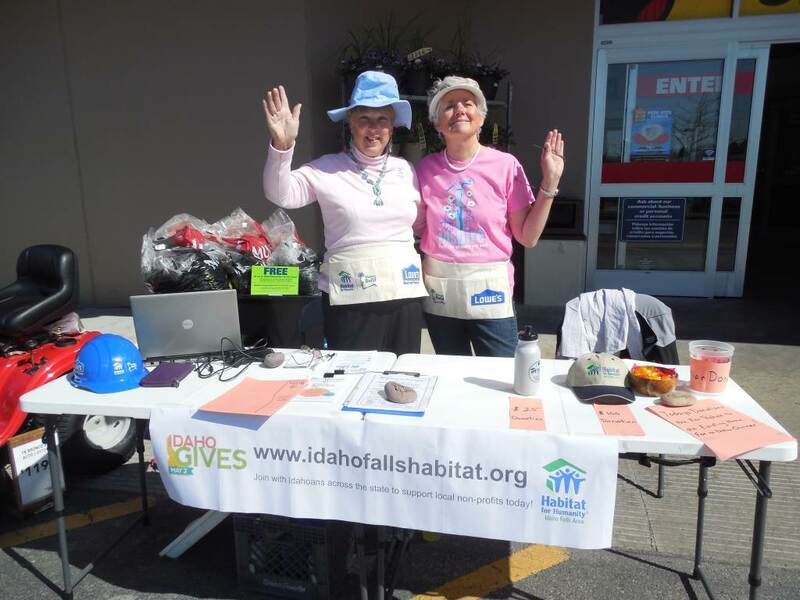 Anyway, Susun and a co-volunteer, Kathy, womaned two tables at Lowe's here in Idaho Falls from 10-3 today on behalf of Habitat for Humanity. Susun actually volunteered a few additional hours getting ready and then derigging the setup. 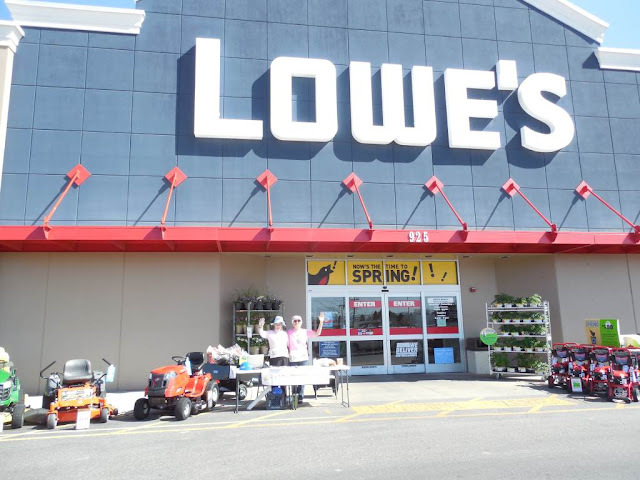 The duo didn't raise much money, perhaps $79, but they had a good time an d it was a perfect day for sitting out in the sun. Not too hot and not too cold. Thank You, Susun for volunteering for Habitat for Humanity. We all appreciate your service!